Zach Merrett and Brendon Goddard will play in the International Rules Series after they were named in the Australian squad to take on Ireland. 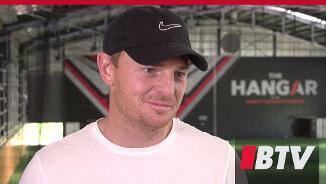 Brendon Goddard and Dyson Heppell have rounded out the podium in Essendon’s 2017 Crichton Medal count. 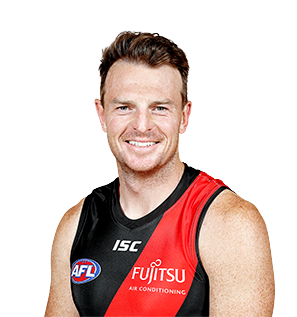 Goddard – who is entering his 16th season – is Essendon’s oldest player, but his recent performances suggest he isn’t slowing down. 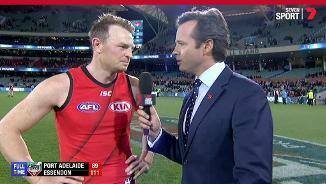 Goddard highlighted his longevity in the game by playing in all 23 games for the Bombers last year and looking at home in each contest. In 2017 the former Saint led the side for marks and was in the club’s top five for disposals, contested possessions, clearances, disposal efficiency, score involvements and metres gained. 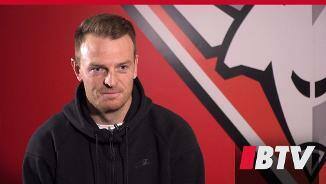 Goddard has stepped aside from his regular position in the leadership group this year to allow the younger contingent to take up more responsibilities in the team.